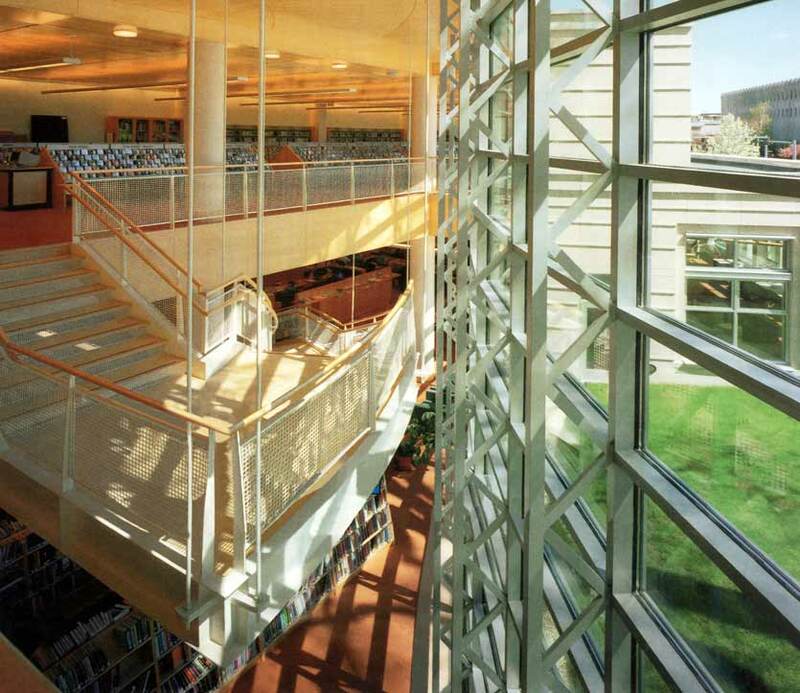 Along a curved window wall, this grand stair connects the main reference room with the upper reading rooms of the Greenwich Library in Greenwich, Connecticut. 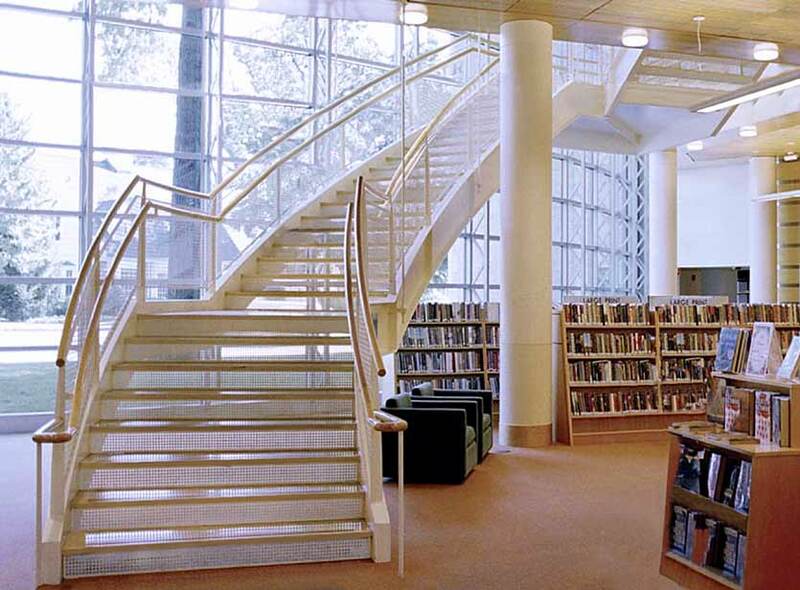 The stairs are built from painted steel channel with polished maple railings. The landings and treads are made from maple, with painted wire mesh railing infills.